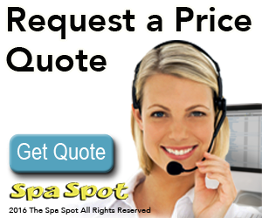 The Spa Spot is your source for the best Hot Tub prices and selection. Whether you’re looking for your own private sanctuary to relax in, or to take advantage of the amazing health and lifestyle benefits of hydrotherapy, the Spa Spot’s wide selection of Edmonton Hot Tubs has the product that’s right for you. As a leading retailer of hot tubs in Edmonton, the Spa Spot has built a reputation for quality and excellence. With durable, reliable spas from leading manufacturers, the Spa Spot has the expertise you need to make the right choice for your lifestyle. Let the gentle warmth and soothing action of the highest quality hot tubs in Edmonton help relieve your tension and balance your life. As a leading Hot Tub retailer with multiple locations across Northern Alberta, we believe flawless customer service is the key to success in the Edmonton hot tubs business, and that’s why we’re always there for our customers. Whether it’s assisting on a warranty issue or just water balancing a hot tub, we make sure our culture of exceptional customer service strengthens our bonds with our customers.